Roman Holiday is one of 31 films on my Shame List, a list composed of multiple classics and “must-see”- considered films for anyone who likes to consider him/herself a film buff. I created this list with only twenty films, and have added eleven films since by recommendations from friends and fellow movie fans. I’m always looking for recommendations, and my Shame List is my accountability to the moving blogging community that I have – and will – start watching these movies to earn my film buff status. A copy of the list can be found at my post here, and I’m updating per your recommendations, so please keep them coming! When I was watching Roman Holiday, I couldn’t help but enjoy each scene, taking in everything I could. No doubt, it’s a movie I’ll revisit again and again, which confirms my purchase of a DVD copy before I had even seen it. Growing up, I fondly remember watching Audrey Hepburn play the infamous role of Eliza Doolittle in My Fair Lady (1964), and the image of a dirty, cockney woman turned into a stately, prim and proper socialite was burned into my memory. Years later, following my college years, I decided to give Breakfast at Tiffany’s (1961) a try given its reputation. I got to see another well-known side of Hepburn, although I couldn’t help but wonder what the “wow” factor was of the film. But that’s a whole other post altogether. My only knowledge of Roman Holiday before viewing it is that it starred Audrey Hepburn and Gregory Peck as the leads, and that they fell in love but never got together. I was excited to see this movie for that little insight alone, yet I was shocked when the movie opened and Hepburn was playing a princess and Peck was working for the press. The opening scene, as no doubt many have recalled and talked about, is famous for its simplicity: Princess Ann is on the last leg of her European tour. She’s exhausted, yet she knows how to paste on her happy face and polite voice because she’s so accustomed to doing so. She’s just arrived in Rome, about to sit down when a huge line of Roman higher ups and citizens await to greet this famous princess who’s just arrived in town. She’s plays it calm, only occasionally lifting her right foot out of her shoe to ease the strain of standing and walking in heels, when she accidentally nicks her shoe, unable to retrieve it without drawing attention. One by one, her assistants emote looks of panic as they realize the gravity of the situation: with all eyes on the princess, no one can subtly collect her shoe. And that is just the first of many memorable scenes that make Roman Holiday so sweet, enjoyable, and of course a staple in classic film history and a model for so many romantic comedies. Multiple modern romantic comedies came to mind as I watched Roman Holiday, explaining the inspiration directors and actors have aspired to imitating in the last few decades. When reviewing Roman Holiday, as well as others on my Shame List, I know I’ll run into a problem Dan realized when he recently reviewed Fight Club (1999) at his blog: it’s hard not to reiterate in a review what everyone else has already said about a critically-revered film that’s already had everything discussed and dissected in it. Roman Holiday is a beloved film, and I’m so happy to experience why everyone else who has seen it appreciates it for its beauty, simplicity, and mark on film history. Of course, Gregory Peck stands out in this film, not only for his acting skills and his tall, dark handsomeness, but also because he stands head and shoulders above all the other guys. This is especially noticeable in the end scene when he’s standing in the middle of the front line of press writers and photographers. I imagine William Wyler purposefully set the scene so that Peck stood out in the group. That scene also captured how well both lead performers were able to express their characters with just their eyes, and it made me wonder when the last time I was so moved by a scene that said so much without many words. When Joe Bradley (Gregory Peck) leaves the royal hall, the scene shows one man taking his time as he strides down the beautiful, rich walls that make up just the hall of where royalty presides. After this end scene, I think of the contrast of the earlier scene with Princess Ann entering Bradley’s room for the first time, and even under the influence of a heavy drug that’s taken its toll, she still inquires if his room is the elevator. Both leads know how to employ physical comedy, and I can imagine Eddie Albert received his share of scrapes and bruises from constantly getting knocked down or pushed over. I don’t think I’ll ever forget Hepburn impaling a guitar by smashing it over the head over a Secret Service agent while fleeing a dance party. Despite their best efforts and logical influences, Joe and Ann fall in love in front of us, even if it’s just for a few hours. True love isn’t on display until Bradley pretends he never got the story, because he cherishes his time with Ann more than winning a bet and making some much-needed extra cash. Extending the photos as “scenic photos from Rome” as a gift to Ann reveals Irving’s (Eddie Albert) sincerity as well. I also really enjoyed all of the fashion, especially on Hepburn (no wonder she’s considered a fashion icon). The dress she wears in the final scene is a great example of how beautiful an outfit can be in black and white. Even with her sporting long and short hair styles throughout the film, her face shines without a single imperfection to be spotted, and it’s assuring that’s her fashionable status is well-earned if she just cracks a smile. I doubt her barber (Claudio Ermelli) really acted too much when melting over the gorgeous actress, like most men did in the film. 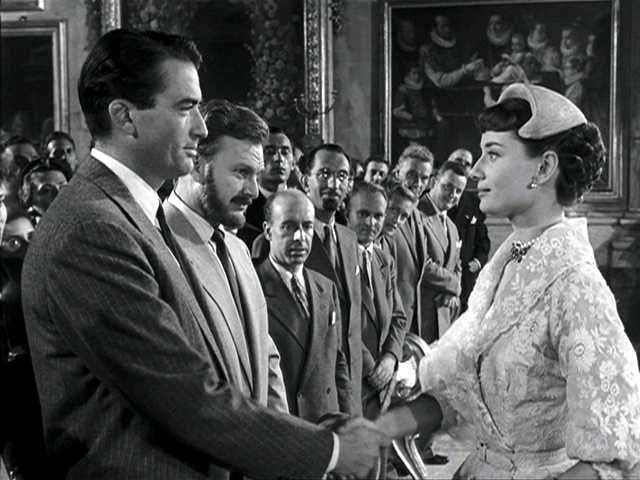 Roman Holiday is my favorite Audrey Hepburn film I’ve viewed thus far, and it makes me want to see more of her films. I don’t need any more encouragement to view more Gregory Peck films, although Roman Holiday only confirms my need to see him in more. All images found via Google Images. ON SCREEN, crossing my first film off my Shame List. It’s your turn now. What did you think of Roman Holiday? Would you consider it a classic or a must-see film? Or does it make it on your Shame List? Please join the discussion below, because I would love to know your thoughts! Jenna and Allie over at Chick Flicks decided to start their own blogathon about guilty pleasure movies. I learned about it from Caz over at Let’s Go to the Movies, who included some great guilty pleasure movies in his list. Be sure to check out his post. Debra Messing and Dermot Mulroney in The Wedding Date. Critical Consensus: It’s not a great movie. The plot is thin, the protagonist has security issues, and the overall storyline fails. But no one needs a rehash of what 90% of the Rotten Tomatoes critics thought. Guilty Pleasure reasoning: I loved the chemistry between Debra Messing and Dermot Mulroney. The latter is hunky and confident in the film, making him a good lead. Messing plays a somewhat frustrating character at times, but nonetheless, relatable. Outshined by her over-the-top younger sister (played by Amy Adams), Messing’s character struggles with accepting her current status. The story takes place over in London, which was a nice switch from the typical rom-com in New York. The father figure is strong and funny (Peter Egan), and perhaps more than all the above reasons, I loved the soundtrack, which featured 90s Maroon Five and some Michael Buble hits. Movie Fun Fact: The film score’s composer, Blake Neely, stretched his rookie composing muscles on The Wedding Date, the film being his first solo feature film assignment. The score was first released as a limited edition CD that quickly sold out, but has been repeatedly asked for after its success and popularity. Jennifer Garner and Andy Serkis doing the Thriller in 13 Going on 30. Critical Consensus: Same formula we’ve seen over again, but Jennifer Garner shines as the leading lady. Guilty Pleasure reasoning: The scene when Garner and Mark Ruffalo dance the Thriller. Lord of the Ring‘s (2001) Andy Serkis plays a fashion editor, Judy Greer is the villainous best friend, and Mark Ruffalo is the lovable guy that got away. I always thought Jennifer Garner played her best character as Jenna Rink in 13 Going on 30. It’s a movie with a lot of sweet moments, both romantic and also hilarious. Movie Fun Fact: Behind the Scenes footage on the DVD includes interviews with the main cast who talk about their younger self-portrayal counterparts. It’s always interesting to see who gets cast as the young version of an older, popular actor. 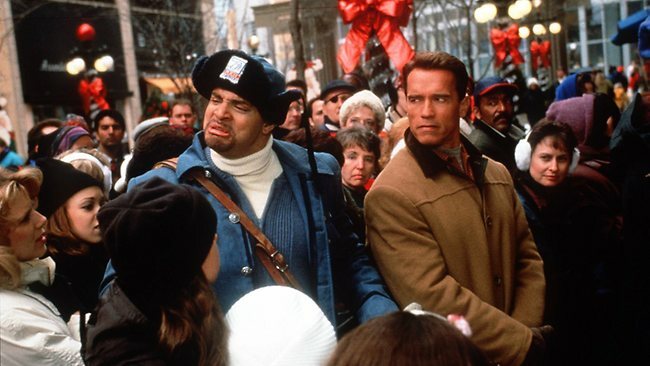 Sinbad and Arnold Schwarzenegger in Jingle All the Way. Critical Consensus: Jingle All the Way received mixed reviews, some scathing, and some hopeful that the movie made the OK mark. Guilty Pleasure reasoning: I grew up watching this movie as a kid, cracking up. It became a family tradition at my parents’ home to watch this movie around Christmas every year, and somehow, we have continued on with this tradition in more recent years. Sinbad’s character, Myron, is so beyond insane at times, that you can’t help but laugh at the guy. Jingle All the Way makes people either laugh or shake their heads. I’m in the former group. Movie Fun Fact: As of February of 2014, a sequel has gone into production, featuring none of the original cast. Instead, Larry the Cable plays the lead in the project. Christopher McDonald and Adam Sandler in Happy Gilmore. Critical Consensus: Dividng the critics, Happy Gilmore still managed to receive a fresh tomato on the Tomatometer, and even scored a 7 out of 10 on IMDB. Guilty Pleasure reasoning: Back in the day when Adam Sandler knew how to make people laugh in his movies, the comedian seemed to have a bright future ahead of him. Happy Gilmore is one of those funny entries that make it onto Sandler’s list of “funny movies from ‘back in the day,'” and it remains one of my favorite quotable comedies that I will continue watching if I catch it on TV in the afternoon. His humor isn’t for everyone, but Sandler gave new meaning to the game of golf, and the hilarious work of the supporting cast (Ben Stiller, Christopher McDonald) won me over. Movie Fun Fact: MTV awarded Happy Gilmore an award for the Best Fight between Adam Sandler and Bob Barker. Critical Consensus: The Holiday is yet another one of my guilty pleasures that received overall mediocre scores with critics, despite its well-known cast. Guilty Pleasure reasoning: Hans Zimmer’s score is captivating in this film, so much so that I listen to it every year, especially around the holidays. I love the cast, although I enjoy the scenes with Kate Winslet and Jack Black over Cameron Diaz and Jude Law. Perhaps one of the greatest pleasures of viewing this film is the small part Eli Wallach (RIP) plays as the old, but not forgotten Hollywood screenwriter Arthur Abbott. Movie Fun Fact: When watching The Holiday, I just assumed Kate Winslet was older than Cameron Diaz, given Winslet’s established filmography and graceful personality (perhaps her accent had something to do with it too?). I was shocked to discover that Cameron Diaz is actually three years older than the Brit! It’s your turn now. What are some of your guilty pleasure films? Please join the discussion below, because I would love to know your thoughts. What if your life were a . . . movie? OK, I agree . . . that’s a highly implausible possibility, but who says we can’t be dreamers? I’m not one for self-indulgence, but every now and then, it’s fun to imagine what my life would be like if it were a movie . . .
Reason for choices: No actress who is my age has handled dorkiness (House Bunny), drama (The Help), or comedy (Superbad) better than Emma Stone. She’s miles prettier than I am, but I couldn’t imagine anyone else able to play me. My second choice is Anna Kendrick because she’s great at playing awkward. And well, sometimes, I am just awkward. 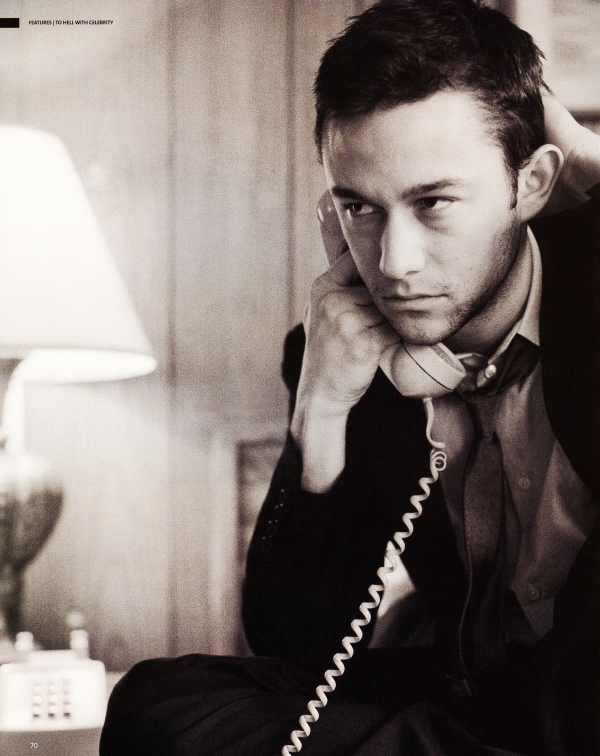 Reason for choices: Who else but Joseph Gordon-Levitt? I love him in every film he’s in. I think he brings something new and fresh to the table in all of his roles. That, and he’s hot. John Krasinski looks like the everyday guy that almost any girl wouldn’t mind falling in love with. I know I wouldn’t mind. 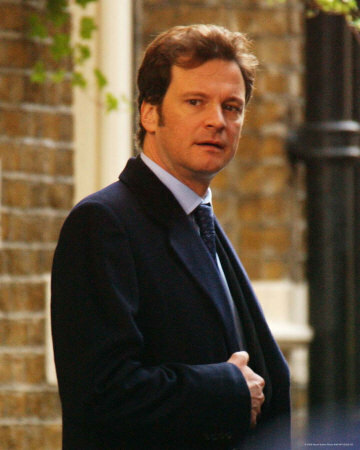 Reason for choices: After seeing Colin Firth in What a Girl Wants, I knew I would be perfectly fine if he were my dad. On the other hand, Steve Carell is an entirely different choice. He can make the littlest things entertaining, yet he still has an endearing side to him that would make him an excellent father figure. Reason for choices: It’s hard to describe what it is about Susan Sarandon that assures me she would make the perfect mom. She just seems like she’d be an awesome, fun mom. Meryl Streep is my second choice–I think I’d like her just for all her cooking in Julie & Julia, even though Julia’s a character. She seems like someone who’d have a lot of wisdom to offer. 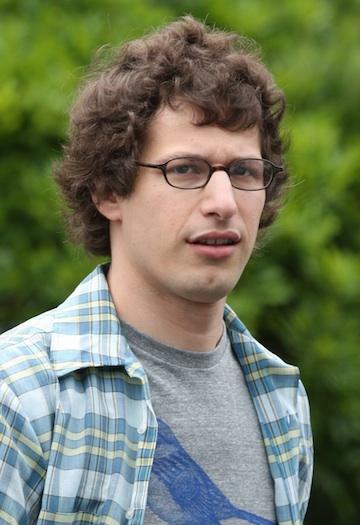 Reason for choices: Andy Samberg embodies “strange, but awesome,” in my opinion. He has a bit of a douchey side to him in most movies he’s been in, yet he’s hilarious as heck on Saturday Night Live. Between Parks and Rec and Friends with Kids, I could only imagine Adam Scott as the perfect second choice to play a funny, but awesome older brother character. 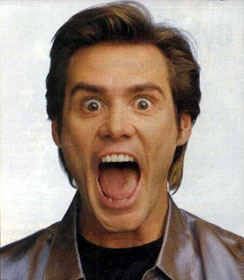 Reason for choices: Jim Carrey is known to be one crazy, hilarious dude, although I think he has a great handle on dramas too. He’s great at playing a variety of characters. Is it really necessary for me to explain either of my choices in this category? You tell me! 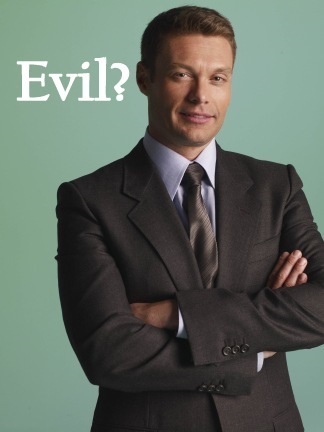 Reason for choices: Ryan Seacrest may sound like a nutty first choice for the villain, but one has to imagine he has to have some anger and frustration from hosting American Idol. Plus, I’d love to see the guy let loose and go crazy. Kristen Stewart . . . she already has the face down. She looks angry at the world. 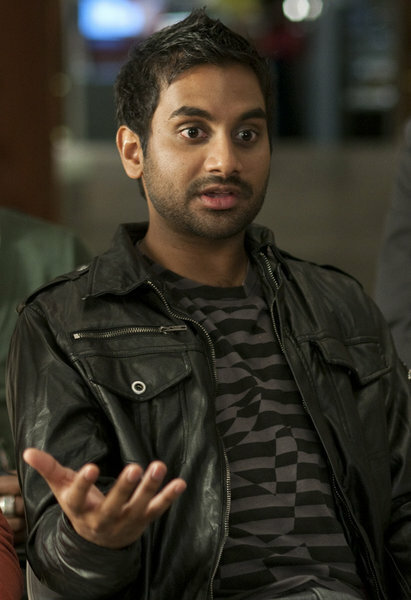 Reason for choices: Aziz Ansari is hilarious. Few will ever deny this. Although I had a rather late introduction to him (30 Minutes or Less), he is comedy gold. From being an avid fan of How I Met Your Mother, I’ve learned that Neil Patrick Harris is one of the funniest dudes out there. Either making cameos or playing some small role as comic relief would be awesome. Reason for choices: I’m still really all over the place with who I would choose as director. Hence, why I chose three different people. 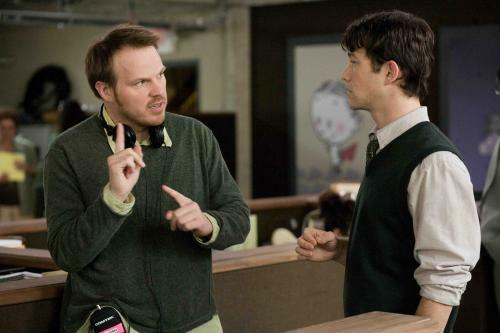 Marc Webb is responsible for directing one of my favorite movies of all time, and many of you already know what that is–(500) Days of Summer. For someone to incorporate that much reality into a film, with well-developed characters, yet somehow still include a musical dance number and make a film as endearing as it is? I can’t imagine a better director. Nancy Meyers is another fun choice because I’ve very much enjoyed several of her films, especially The Holiday and It’s Complicated. I think she really knows how to make a full, in-depth film with a female protagonist without making it feel too chick-flicky or overly romantic. She seems to be one of the few female directors out there who really has a specific vision, and when you see the film, you know that it’s a Nancy Meyers film. My final choice is Cameron Crowe. He would have been my first choice if I thought he could incorporate more comedy, but I see Crowe as a director who has a lot of heart and definitely some drama. And that’s what I love about him. 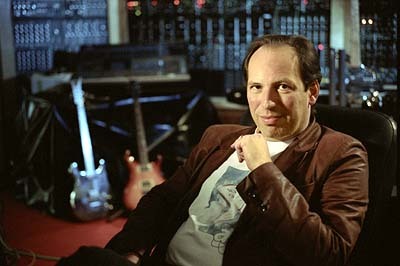 Reason for choices: Hans Zimmer is a master. He’s brilliant at developing new, ear-catching themes that outlast even some of the films he has scored for. Ultimately, Zimmer is my first choice to score a film. Nancy Wilson, although more of a rocker with far less experience, is still a talented musician with the ability to create a beautiful score, such as her work for Elizabethtown. Henry Jackman may sound like a strange third choice–I mean, why shouldn’t I choose someone far more experienced, like James Newton Howard or Alan Silvestri or Danny Elfman, all of whom I love? Jackman may has less experience, but he’s great at what he does. And he’s newer to the film score drawing board, similarly matching myself in that I’m still young. After falling in love with his work on X-Men: First Class score, I decided he would be a great back-up plan. Reason for choices: I’m not as great as coming up with a good theme song. Instead of thinking long and hard about it, I just picked a couple songs in my library that I like a lot. I think both songs describe a lot of my own feelings about my life, so that’s helpful. I guess I could have chosen “I Believe in a Thing Called Love” by The Darkness. Wahaha. Reason for choices: No matter how I look at my life, through the big highs and lows, there always seems to be someone who finds things about me hilarious. I’ve always been attracted to people with a good sense of humor, comedy TV shows and movies, and I’ve even attended a small share of stand-up comedy. What can I say? Sometimes I think the greatest escape to reality is surrounding yourself with people and media that can make you laugh. Anyone who knows me well knows that I’ve also had my share of drama. And I mean, honestly, whose life doesn’t at least have a little unwanted drama in it? And just because I love musicals so much, I think there just has to be musical number thrown in, just for good measure. I tried to think of some nifty titles, but nothing came to mind. So I guess all of THAT will just have to do. I must admit, I had a tons of fun putting this together. So now, it’s YOUR turn, people! If your life were a movie, who would you cast as yourself? and opposite you? Any specific director or cinematographer or costume designer you’d demand? What kind of genre would it be? Share it, or copy and paste mine and fill it in with your own choices! Add and take away what people you would include. What do you think of my choices? Last night, I caught The Break Up on TBS and watched it because I hadn’t seen it before, and I knew Jenn Anniston and Vince Vaughn didn’t end up together in the end. Consensus? Annoying in parts, but altogether, a sense of reality in it that I appreciated. Then I started thinking through what other films didn’t end up with the couple getting together. The all-too-familiar (500) Days of Summer. My Best Friend’s Wedding. Up in the Air. A Google search later, I then recalled The Time Traveler’s Wife (separation by time travel), Titanic (death by a really big boat sinking), Nights in Rodanthe (separation by death – thanks once again, Nicholas Sparks), The Bourne Supremacy (separation by murder), or even Batman Begins or the first of Sam Raimi’s Spider-Man (separation by a “higher calling” – I always laughed at the end when Spiderman refused Mary-Jane. I know, what’s wrong with me?). And then I thought, hey, what if we could mess with the endings of those movies with the happily-ever-afters, and make them not happily-ever-after? Are there films that would be better off where the guy and girl didn’t get together? I think so. Here’s a list of movies with couples that I would not let them end up together, whether it’s just for kicks and giggles, or because I never would have put those two people together in the first place. Eddie (Luke Mably) and Paige (Julia Stiles) were never meant to be together. One was meant to run a country, the other was meant for higher education. There never should have been a second and third sequel to this film, with the main roles getting changed out each time. The idea was simple and sweet enough in the beginning, but having a future king of a country return to the states and let a girl know that he’ll wait “however long it takes,” just isn’t realistic, much less workable. Talk about pressure on the girl! I wish that Aragorn (Viggo Mortenson) would have directed the words “I cannot give you what you seek” to Arwen (Liv Tyler) and not to Eowyn (Miranda Otto). 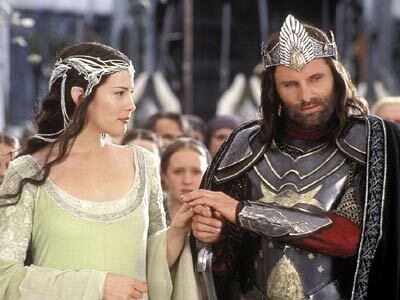 I have yet to finish reading The Return of the King, but from a movie viewer perspective, I would have rather cheered on Aragorn kissing Eowyn in the end than Arwen. Both Eowyn and Aragorn have that whole fighting warrior thing down, and they definitely have an immediate chemistry when they meet. I’m on the dad’s side (Steve Martin) from the beginning. 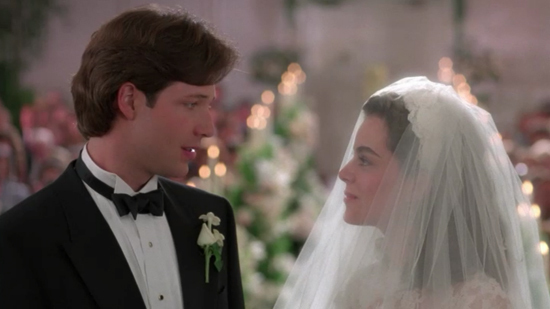 Although Annie (Kimberly Williams-Paisely) getting engaged to Bryan (George Newbern) and planning a crazy wedding makes for an interesting premise, in the end, I rather have seen Bryan be sent on his way than sadly watching George struggle to share a moment with Annie after the wedding. Any guy who starts putting his hand on a girl’s leg in front of her father the first time he meets him isn’t classy or smart. This is more for comical reasons than any other. 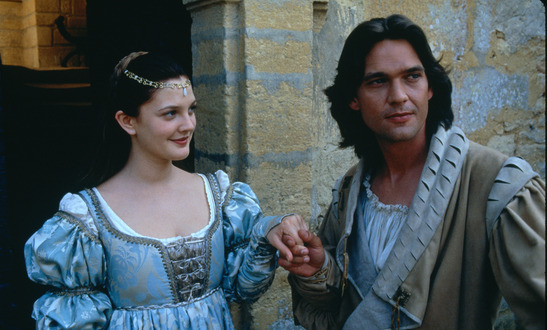 So Danielle’s (Drew Barrymore) a liar and Henry’s (Dougray Scott) a jerk. The two have flaws, but seemingly are perfect for each other. But what would have happened had Henry chosen Marguerite over Danielle? I could imagine the film ending with rain lightly tapping the glass slipper, the camera zooming out, and the step-mother (Anjelica Huston) laughing manically in the background. You have to admit you’re curious now, right? And now the title of this post becomes relevant. 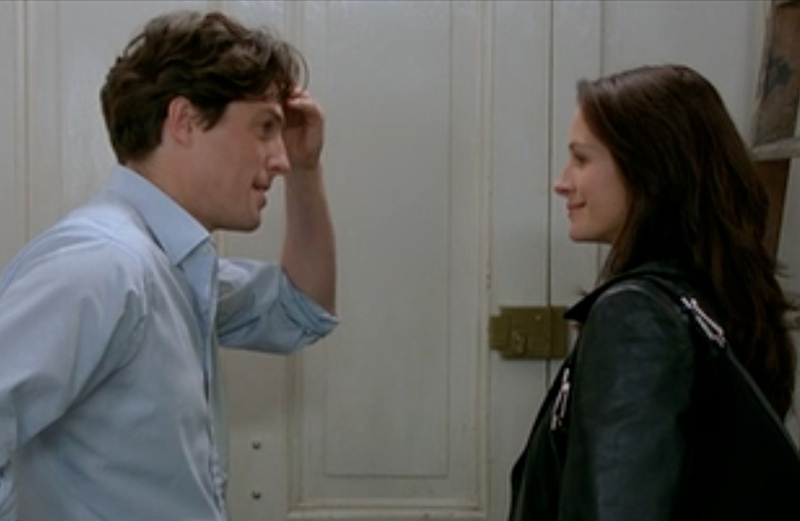 The titular line in Notting Hill is told by Anna Scott (Julia Roberts) to William (Hugh Grant): “I’m just a girl, standing in front of a boy, asking him to love her.” What if William’s response was, “Well I’m just a boy, and no means no.” A little harsh, sure, but then again, to reject that line altogether–and spoken by the most famous movie star at the time–was a little harsh. I appreciated the idea of a normal person rejecting a movie star. It made sense. But then again, he showed a more human element of himself when he begged to have her back. This choice may really make people mad. Frankly, I’m OK with the movie’s ending. I mean, if had to choose between Patrick Dempsey and Josh Lucas, I would struggle too. I get it, two people reconnected through the South and family and life. But what about poor Andrew (Patrick Dempsey)? He didn’t do anything wrong, yet he gets rejected in the end. Melanie (Reese Witherspoon) accepted his proposal! It’s like watching an episode of The Bachelorette, and Melanie changing her mind after the final rose. OK, I’m fresh out of ideas. Your turn – who would you have liked to see break up, or never end up together? Or how about the reverse – was there ever a couple you wish would have gotten together in the end? Sound off in the comments. This week, I have strayed from my usual format–I’ve been late in posting, and I’m only on my measly third post for the week *shakes head in shame*. Regardless, I feel like there’s a post I need to write about, so in the spirit of love (with it being Love Week here), I am writing about my favorite TV show How I Met Your Mother. A lot of people blog about this show. As often as they post, I make it habit to check out TVLine or EW’s reaction to the latest episode, and I always have the blogsite “Have You Met Ted” on my online reading list. Now I just read this post, featured today on Freshly Pressed. And while I can definitely see where the writer is coming from, it still saddens me to read about the unfortunate backlash HIMYM is receiving with its recycled ideas popping up in recent episodes. There’s been this massive amount of disappointment looming over this season, and for some reason, I can’t seem to jump on this disappointment bus. I enjoy the show too much, and perhaps I don’t find myself involved enough to be as frustrated as the last HIMYM fan. Which leads me to theorize on who the mother is. One of the most popular theories is that Ted meets Barney’s half-sister at Barney’s wedding, marries her, and hence Uncle Barney . . . and wait for it . 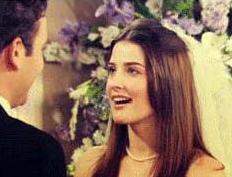 . . Aunt Robin, because of course, fans want Robin and Barney to get together. And I would love to see Barney and Robin together too. But here’s the thing . . . why? I remember watching season 5, and everyone claimed it was the worst season of the show yet. Everyone hated watching Barney throw away his womanizing ways to get serious with a character. There was less to laugh about in the show, and the show lacked that extra “thing” that made it so funny when Barney was in a committed relationship. Now with seasons 5, 6, and parts of 7 behind us, everyone is rooting for the two to get back together. And then last episode, Ted proclaims his love for Robin . . .
Talk about serious backlash. People are ticked at this, and I am not one of those people. I’ve been rooting for Ted and Robin for a long time, and for me, this is a good thing. The main reason Barney and Robin didn’t work is because they canceled one another out. They both are so similar, that they almost seem to not complement one another as well. Here is my theory on the mother–why does she have to be the same person as Ted’s wife? I can easily see myself analyzing the situation a little much, but I can’t help but think that there’s even a slight possibility that Ted’s wife and the mother of his children are not the same person. HIMYM set Barney and Robin up to fail (at least in season 5, and partly in season 7 as well)–with so much shared in common, they’re almost too much for each other. For all of the great things future Ted has foreshadowed about “the mother,” I sometimes wonder if HIMYM writers believe in the same formula for Ted and the mother that they did in season 5 for Robin and Barney–so much the same, that they drive each other nuts. Could it be possible that Ted and Robin end up together, yet Ted and “the mother” still have two children? I will definitely admit the idea seems to stray from the usual character of Ted, but Ted is a different guy since the early seasons. And would it not be the craziest way to surprise viewers? I certainly have to wonder. Perhaps in the next few episodes, things will shift enough that this theory will be completely improbable for the show, similar to how the show functions–one day in, the next day out. But for now, I’m putting the thought out there that maybe there’s another possibility most people haven’t considered. We all know Robin isn’t the mother. But could she be Ted’s wife? Now that I’ve offended all of the diehard RoBarn fans, removed myself from the popular point of view that HIMYM is not what it used to be (OK, I agree, it’s not, but I still don’t think it’s as bad as everyone’s making it out to be . . . ), and even blogged about a TV show instead of something pertaining to film, I have to ask those of you out there who watch the show . . .
What’s your theory? Do you think it’s possible that Ted and Robin could end up together? Do you think the mother and Ted’s wife could be different people? Weigh in and share your thoughts. Welcome to Love Week at All Eyes on Screen! Each day I’ll have a post about something that I love. Valentine’s Day is here, so I’ll be listing off my top ten favorite romantic movies that I love. But first, I must ask, Why are they called “romantic comedies”? Many of them are not funny, and there’s certainly plenty of comedies that are low on the romance. Even as a chick, that definition rubs me the wrong way. There’s something annoying about the idea that everything can go wrong, but “true love” will make it all go away. It’s not that I don’t believe in true love or its power to overcome difficult times. But it seems to painted in such a pretty way that we always see that physical infatuation, that two-month period in the relationship filled with butterflies and roses. Great film rides off drama. Drama’s a natural ingredient that must be placed in film in order get the protagonist from point A to point B. And such is the job of all storytelling, regardless of the format or channel. 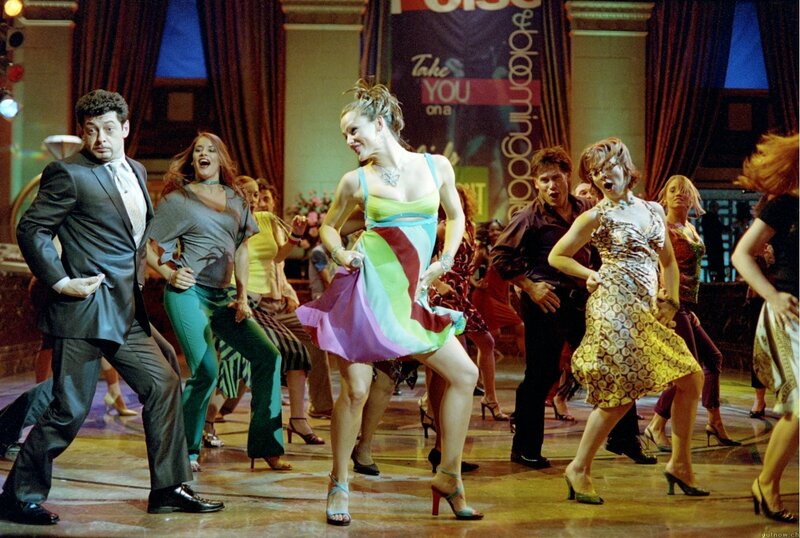 Yes, some romantic films work well in a more dreamy-like state, such as 13 Going on 30. But perhaps that success lies in that the movie doesn’t attempt to take itself seriously like Life as We Know It. Romantic films like My Best Friend’s Wedding set the bar for more realistic romantic flicks. Or maybe the idea of an ending that didn’t end happily became more accepted because we deem happy endings as unrealistic. Regardless, there’s not a more popular genre to receive low scores from critics than romantic comedies. Speaking for myself, I don’t care to watch romantic films for their critical acclaim; I’ll admit wholeheartedly that I watch them for that feel-good feeling, even if they have (multiple) fluff moments. This movie almost made my top 1o list. Mandy Moore and Shane West are probably each credited most for this film. Neither have made as successful films since, although West stepped it up when he joined the main cast of the TV show remake, Nikita. Moore also has upcoming television plans. Regardless, this film is typical Nicholas Sparks crap. And I enjoyed it. It’s almost painful to admit since I abhor Nicholas Sparks’s obsession with pairing characters together and then ripping them apart for unrequited love, death, mean relatives, war, the list goes on and on. I did love Mandy Moore in this film, though. 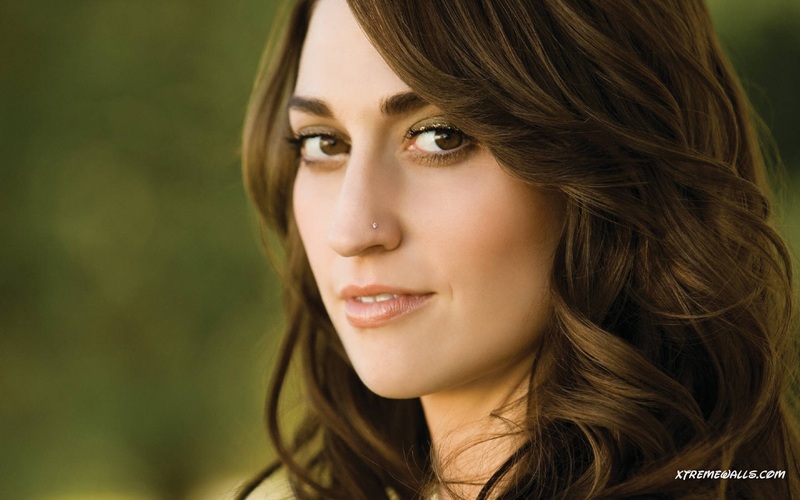 She has a great singing voice and gets to showcase some of her vocal talents on screen as well as on the soundtrack. The Wedding Singer is one of my favorite Adam Sandler films. He’s absolutely hilarious, especially in some of his older movies like The Longest Yard (2005), Mr. Deeds (2002), and Happy Gilmore (1996), but I think he hits his stride in this film. He helms this obnoxious humor while still earning some sympathy from viewers. He and Drew Barrymore work great against one another, although I much prefer The Wedding Singer over their second attempt 50 First Dates (2004). This scene is one of my favorites; the Billy Idol character really adds to the humor of it all. The majority of critiques on The Wedding Date is negative. I know, I know. I would call The Wedding Date a guilty pleasure, but I guess it doesn’t add up much to the idea of “guilty pleasure” when people are calling Jersey Shore and all shows Kardashian “guilty pleasures.” Why do I like this film? It’s hard to say. I guess I just love Debra Messing and Dermot Mulroney together in it. I like that it takes place in London, and I love the score by Blake Neely. Not to mention, Michael Buble and Maroon 5 make up much of the film’s soundtrack. If you’re a fan of this movie, you might want to check out the new TV show Smash, starring both of The Wedding Date‘s Debra Messing and Jack Davenport. Kate Hudson is hysterical in How to Lose a Guy in 10 Days. Kate Hudson and Matthew McConaughey are another one of those duos that play great against one another, although their second attempt Fool’s Gold (2008), fades in comparison. Hudson puts McConaughey through hell, and it’s only fitting for us to watch him suffer. The video is one of the funniest scenes in the film. Many people do not consider (500) Days of Summer to be romantic, but it just happens to be one of my favorite romantic movies. Yes, I know it follows the same pattern as My Best Friend’s Wedding, which I’ll get to soon. But Marc Webb’s creation is wholly original and altogether enjoyable and romantic in many scenes. I love his storytelling method in the film, and one of my favorite scenes is of Zooey Deschanel and Joseph Gordon-Levitt walking through IKEA, as well as the dance sequence to the tune of Hall and Oates I included. The scene I’m most moved by though is one of the scenes near the end, when Gordon-Levitt gives a little speech about love in the middle of a work meeting. He’s clearly lovesick and brings a hint of irony about how as greeting card writers, they tell people’s loved ones that they love them for them. And what is the specialty in that when you can tell a person yourself how you feel? The first time I saw My Best Friend’s Wedding, I had no idea that Julia Roberts and Dermot Mulroney would not end up together. In fact, I was stunned to see Cameron Diaz whisk Mulroney away at the end. I love the idea that two people, who happen to be best friends, made plans to someday marry if they never found another person. And then off goes Mulroney and finds the youngest, most naive girl to fill the shows Roberts decided that she should have filled instead. She hatches a plan to steal the soon-to-be groom, and it makes sense. They have this brilliant chemistry, and of course they ought to end up together. But they don’t; such is life. The end leaves a bittersweet taste in your mouth, because the fight is finally over, despite her losing it. I love the use of Union Station and the old Comiskey Park (home of the White Sox, yo!) in this film. It’s nice to see some Chicago scenery be taken advantage of! Check out the video for what I think is one of the best scenes in a romantic movie. On Christmas Day in 2009, a few friends and I planned to see the first Guy Ritchie Sherlock Holmes. We were pumped until we found out that it was sold out and that we had to settle for It’s Complicated, the rom com starring Meryl Streep, Steve Martin, and Alec Baldwin. The unfortunate affair turned out to be a fantastic film after all. It’s Complicated is proof that Meryl Streep is capable of playing normal, every day people. There are so many hilarious scenes in this film, that it’s one of the few rightly dubbed “romantic comedy.” From Steve Martin and his divorce tapes, to John Krasinski playing the lovable son-in-law, It’s Complicated has become one of my favorite go-to romantic movies. You’ve God Mail is a classic romantic movie in most people’s books, and it’s definitely one in mine. It’s one of three films that Tom Hanks and Meg Ryan star in together, and they do so with a perfect connection. It brings me back to the time when AOL was the big thing around the Internet, and we had to listen and wait for the dial connection before we could use AIM or send an email. It’s the recycled story of two people who hate each other, and later learn to like one another as they start to learn and understand more. Meg Ryan has done her share of these films, and Hanks really isn’t a stranger to the genre either. The end scene is pitch perfect. Enjoy it! Jennifer Garner seems to be more accepted acting in rom coms these days, and one of her best ones I think is 13 Going on 30. She bears all the youthful innocence necessary for her character, and the very underrated Mark Ruffalo does a nice job playing opposite her. It’s also pretty hilarious to watch Andy Serkis actually play a human on screen, much less his giddy character in this movie. The film does a nice job of putting life in perspective. Although must of us probably won’t have our futures defined by the friends we had in high school, we will have memories of that time that will stay long with us. It also does a nice job of showing us that who we pick as friends often influences our behavior and changes us in the future. Overall, 13 Going on 30 fits the description of being light-hearted and sweet. Oh well. Never Been Kissed is my favorite romantic movie. It’s about a dork who returns to high school on an undercover assignment to find out about today’s teenagers. Drew Barrymore blossoms at this geeky character who desperately seeks to fit in. I haven’t seen another movie similar enough that showcases a character quite like the one Barrymore creates in Never Been Kissed. My favorite scene is when she tells her story via voice over. It’s a great way to wrap up the film. I included the final scene of the film because it’s all I could find on YouTube. It’s also one of my favorite film kisses. OK, your turn. What is your favorite romantic movie? Or what is one of your favorite scenes from a romantic movie? Don’t be shy . . .
Fridays are the days I like to include trailers, and although I missed out posting a trailer the past couple weeks, I wanted to post one today. 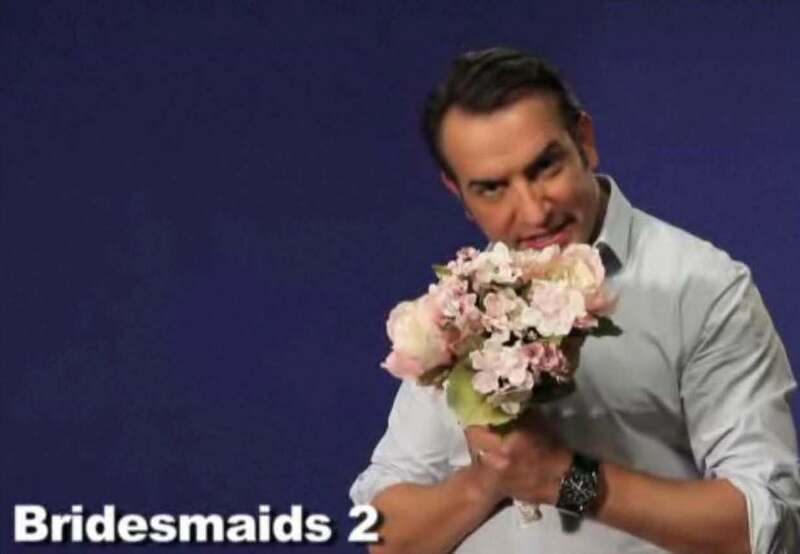 I came across this hysterical Jean Dujardin Funny or Die video and knew it would be a perfect high note to end the week for All Eyes on Screen. Clearly The Artist star has a funny bone, and it’s put to great use in this exclusive Funny or Die video. In the video, the idea is mentioned that most European actors who make it big in a successful film in the States often take on a the role of a villain in a film as a following gig. 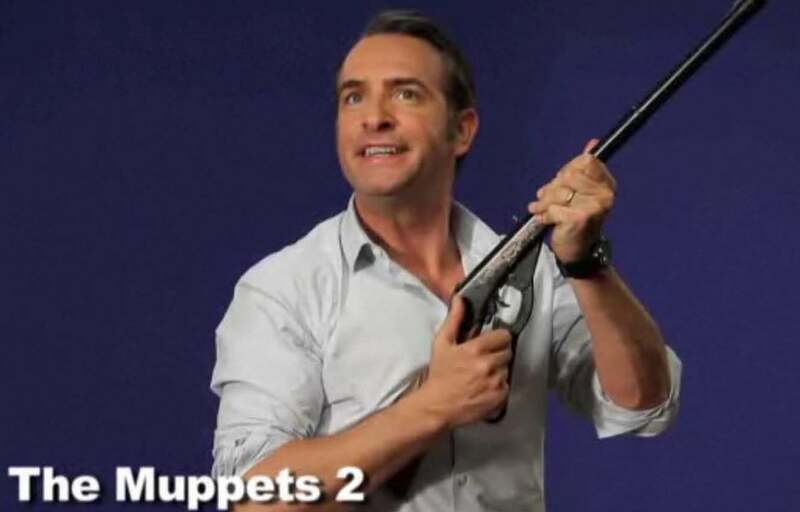 So the French Dujardin takes a crack at playing villains, assuming a new type of weapon (primarily different guns) for each role, for all the “new sequels” due out in the future. Watch the video to find out how many of the roles he gets cast in. I will say that my personal favorite was Bridesmaids 2. Unfortunately, it’s not possible to embed Funny or Die videos on WordPress. So below, I have included a link to the video, as well as some screenshots (all courtesy of Funny or Die – I take none of the credit!) to give you a taste of what the video is about. 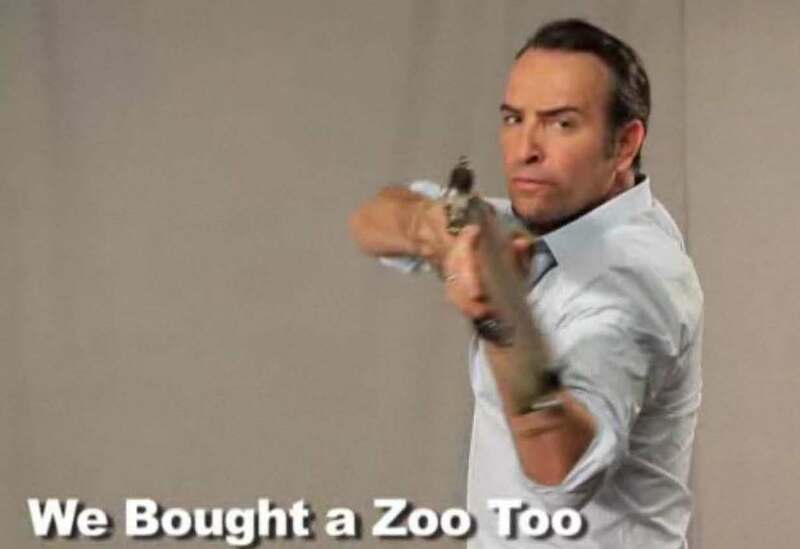 Just added – Jean Dujardin made a guest appearance on Saturday Night Live this past weekend, when Zooey Deschanel hosted. They performed an dance reminiscent of the one in The Artist. Be sure to check it out here. 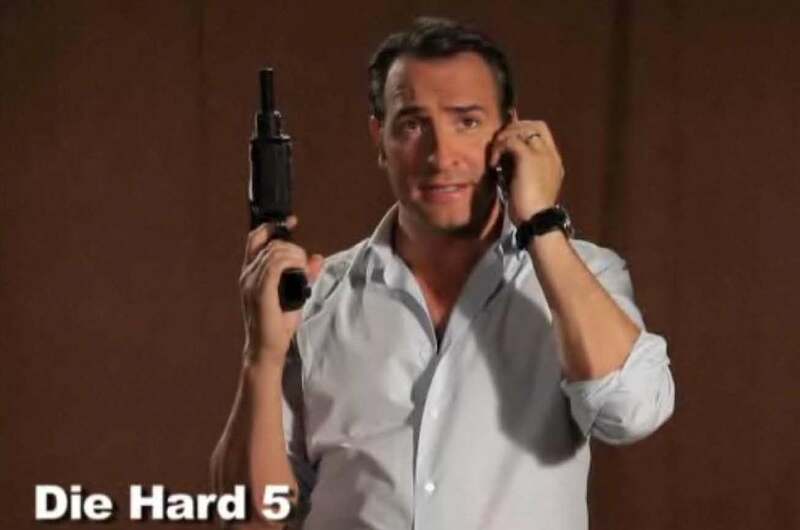 Which role for Jean Dujardin was your favorite? Do you think he should play a villain in his next film? Do you think he’d make a good villain? So it’s been an extended weekend for me, ranging from last Friday to this past Monday. I have been incredibly busy, but I’m happy to be back to posting today. Last Thursday, I got the opportunity to attend the Sundance Film Festival . . . in Chicago. I would have loved to attended the actual festival in Park City, but I settled for Chicago, one of the nine cities that Sundance sends a film from the festival to be screened. Chicago was the recipient of Julie Delpy’s second Sundance film, 2 Days in New York. Back in 2007, the festival showcased 2 Days in Paris, Delpy’s prequel to this year’s film. I had not seen 2 Days in Paris–and still haven’t–yet I was able to very much enjoy New York. Screened at Chicago’s Music Box Theater, 2 Days in New York was a hit. It was cool to sit among the other 640 something people for the movie experience. Co-writer and star Alexia Landeau attended and answered questions for the Q/A session following the film. Then, the film’s director, writer, and star–Julie Delpy–appeared on the screen via Skype, and continued with the session. I won’t review the film in its entirety, but I will say that 2 Days in New York is worth a watch for those of you out there who enjoy comedy. I don’t think I’ve ever attended a film that garnered as many laughs as New York did. Delpy’s father, Albert, actually played her French-speaking father, who shared some hilarious scenes with Chris Rock, each struggling to understand one another. Delpy explained in the Q/A session that those scenes were very real considering that her father speaks little to no English, and Rock isn’t exactly a multilingual guy who majored in French at college. The film had its ups and downs. There were some parts that didn’t seem to quite fit together all too well with the plot (such as the scene where she sells her soul to Vincent Gallo! ), while other scenes sparked hilarity, such as Delpy using the excuse of having a brain tumor to get her neighbor to lay off calling the police for the noise her French family caused. Wholly original, 2 Days in New York is a fun ride, but not incredibly memorable. It lacks a certain kind of emotion to make a viewer care, but it has enough poise to let you enjoy the film and laugh along with it. It was nice to see Rock play straight to the Delpy’s hilarious protagonist. New York is a different film altogether that you probably haven’t seen. There may be bits and pieces of it that you’ve seen in other comedies, but New York has a mind of its own, in a playful, unique kind of way. Even GQ took notice of Delpy’s hilarious performance, including her in their top 15 performances of the festival. Also, be sure to check out EW‘s hilarious portraits of the cast. The film is released in theaters on March 28, 2012.